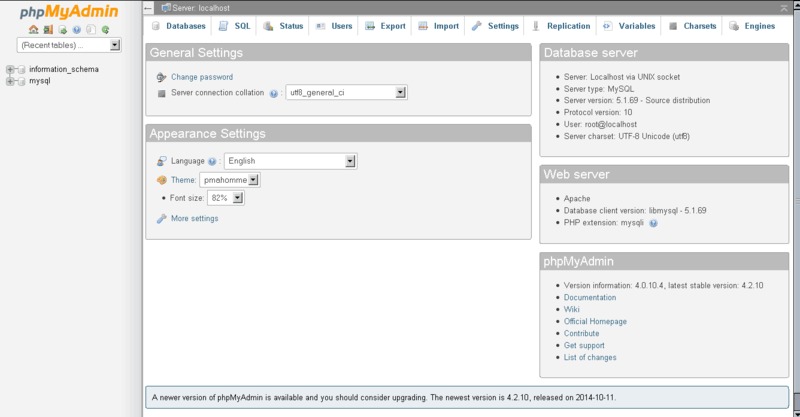 Here is the issue: once you install eaccelerator (RPM from EPEL, see CentOS Repository with command: yum install php-eaccelerator) and phpMyAdmin 4.0.10.4 (also from RPM), you notice a big issue. Some other complained too, including official reported bug. Some are telling you to remove eaccelerator, but is completelly bad. You definivelly need some php accelerator. We tested APC (RPM using yum install php-pecl-apc ) but we noticed a strange behavior, so was looking unreliable. Others tried to upgrade PHP to 5.4 on CentOS 6.x, however, there are many other issues to consider for your application to upgrade. make # do yum install make if you get "bash: make: command not found"
locate eaccelerator.so #and check the location. Additionally, you can check the installation from source for eaccelerator directly from project repository.